Start today by understanding plastic surgery options. Feel confident and free in your swimwear this summer. Did pregnancy and breastfeeding take it's toll? Welcome to the Dallas office of board-certified plastic surgeon, Paul Pin, MD. Our practice specializes in cosmetic surgery of the body, breast, and face, as well as breast reconstruction surgery after cancer. In the pages of this website you'll find information on the procedures we offer, Dr. Pin's professional background, and testimonials from our patients. Feel free to contact us with questions or to schedule a personal consultation. 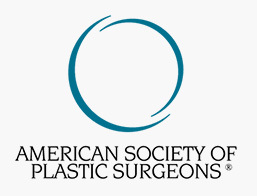 Following six years of specialized surgical training, Dr. Pin was board certified by the American Board of Plastic Surgeons in 1991. He has been in practice in Dallas at Baylor University Medical Center for more than 20 years and has performed thousands of plastic surgery procedures. My staff and I are deeply committed to providing the best possible care in an efficient and professional atmosphere. Being a plastic surgeon is a privilege for me. Through your trust, I am allowed to use my skills and judgment to help you achieve your goals. This is a responsibility I take very seriously, and I promise to do everything in my power to make your treatment as successful as possible.